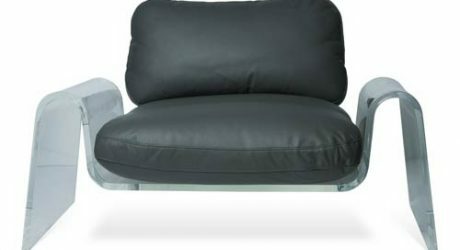 Even if you’re not a design fanatic and don’t know its name, chances are you’ve seen or even sat in the Wishbone Chair. 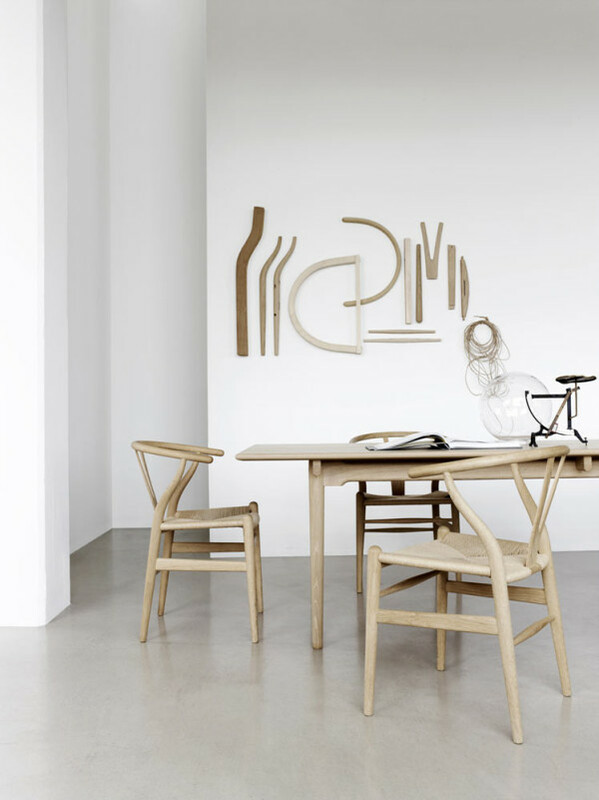 In production for over 60 years, this classic dining chair, designed by Danish designer Hans J. Wegner for Carl Hansen & Søn, is simple in design but handmade with the finest craftsmanship possible. Celebrated for its clean lines and straightforward style, this piece of modern design history will never go out of style. 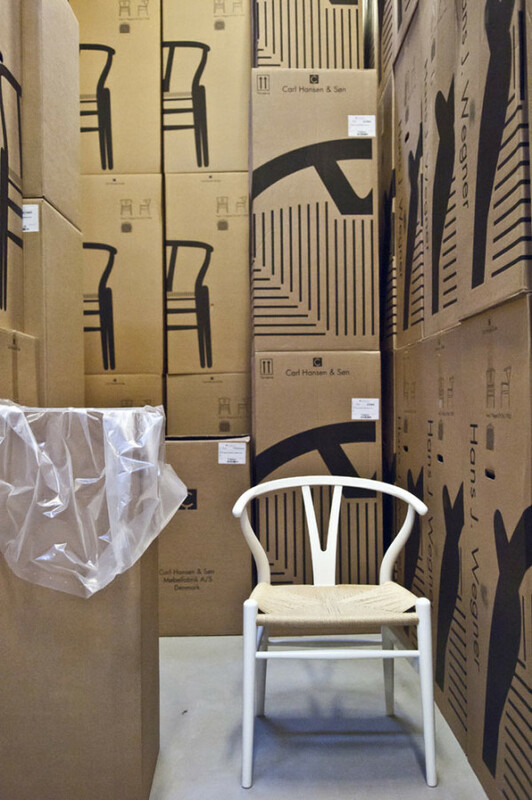 In this month’s Deconstruction, we’re lucky enough to get a behind-the-scenes look at how this iconic chair has been made since 1950. 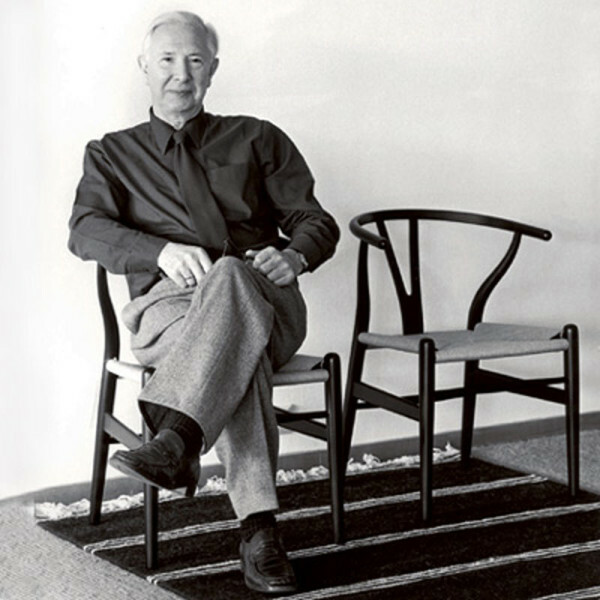 Hans J. Wegner, pictured here in an early Wishbone construction, designed the model in 1949 as one of his very first designs for Carl Hansen & Son. 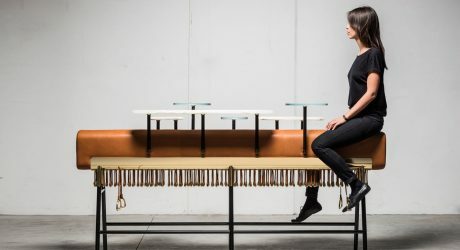 Since its production began in 1950, the Wishbone Chair has been made with the same 14 parts which require 100 separate processes and approximately 3 weeks of preparation. 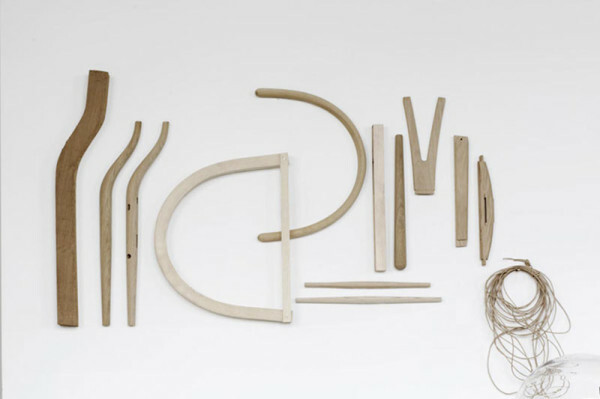 Here we see a deconstructed look at the parts which comprise the Wishbone chair. 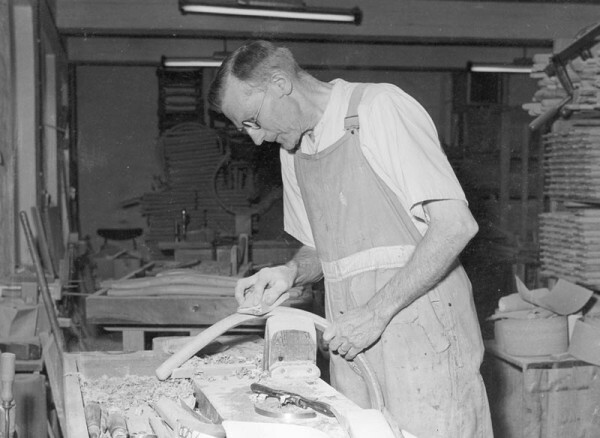 In an early workshop of Carl Hansen, this photo shows the beginning stages of the same production process of the Wishbone Chair that has been ongoing since 1950. 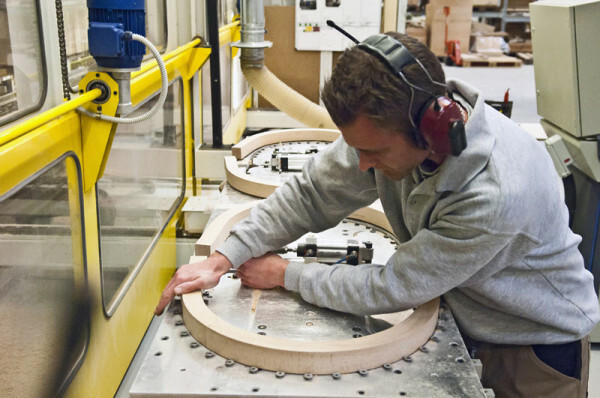 Here, a worker is sanding the semi-circular back of the chair. 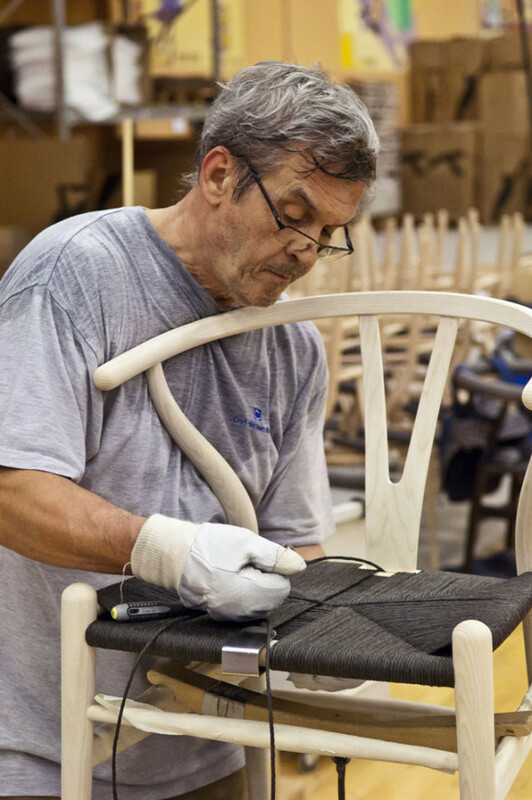 This photo shows a skilled craftsman working in the Carl Hansen & Son factory today and utilizing modern technology to mill the back piece of the Wishbone Chair. 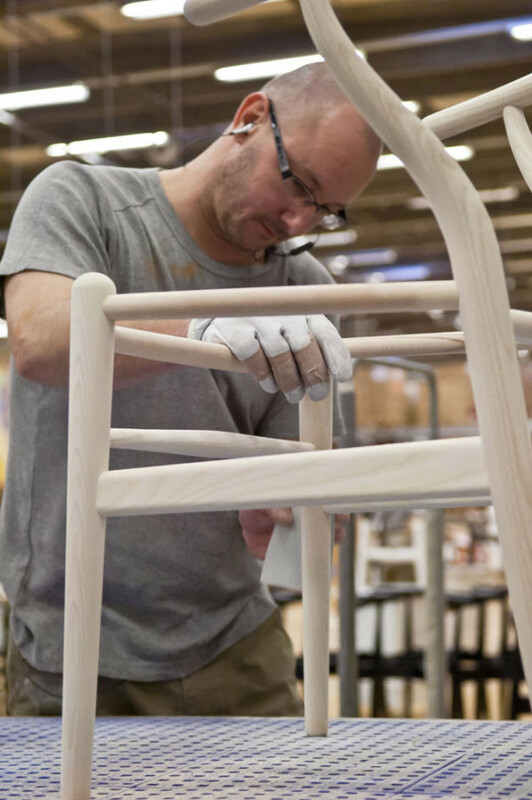 Here one of the back legs of the Wishbone is sanded, enunciating the lovely curvature that gives the design its iconic look. 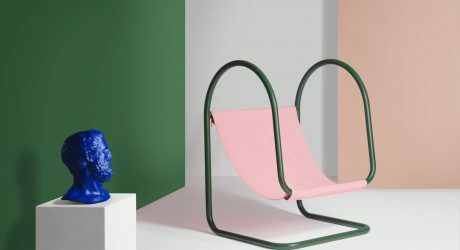 The Y part of the back of the chair which gives it its wishbone shape is chiseled in this photo. 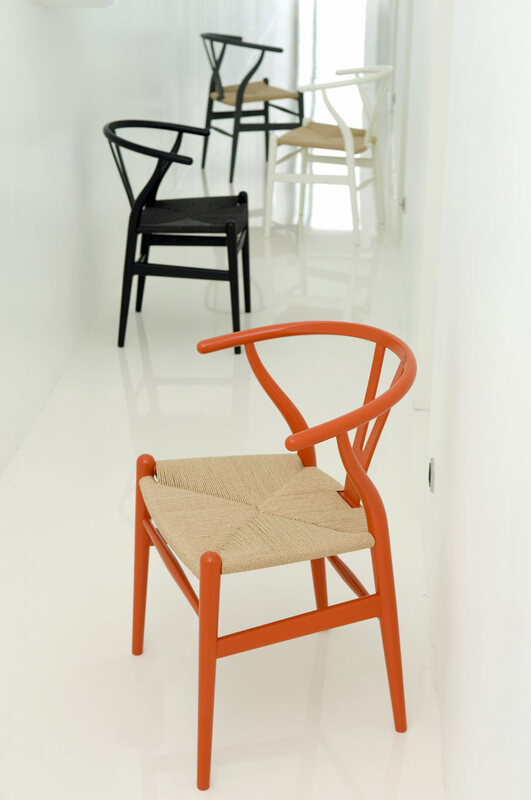 Made of strong laminated plywood, the Y is then fit into a groove and attached to the back of the chair. 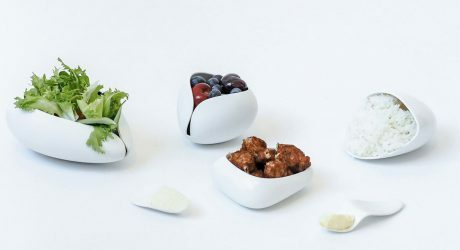 As the pieces are affixed to the structure, the Wishbone continues to take shape. 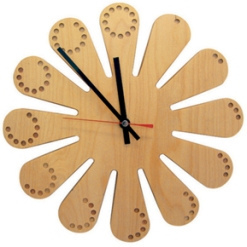 The structure is hand-sanded after the pieces are delicately attached to one another using only glue. 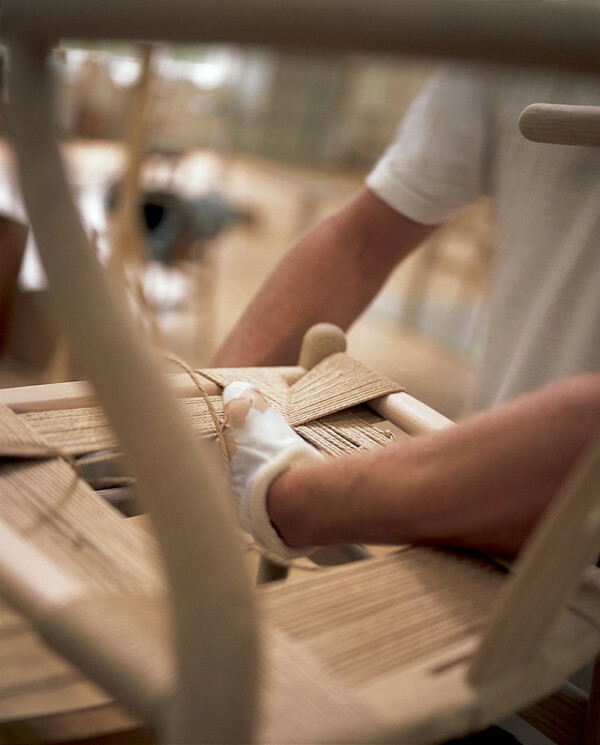 Weaving is one of the final processes of the Wishbone’s construction. 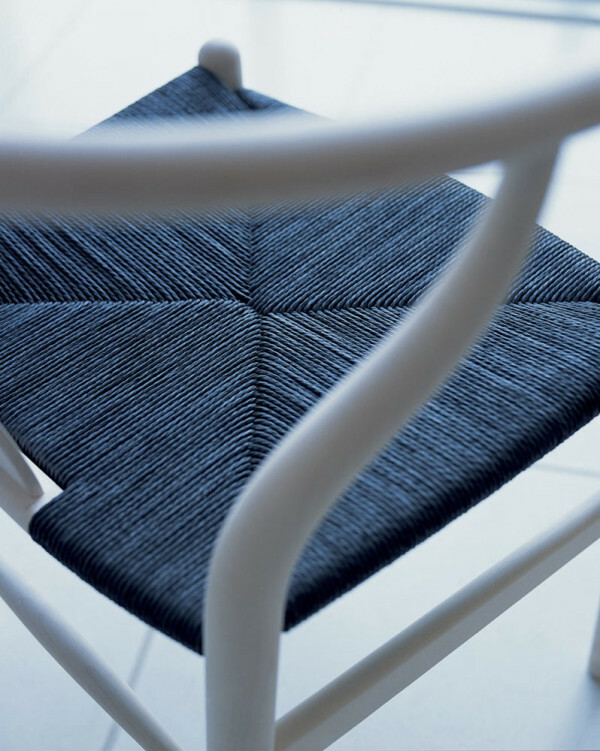 Each of the Wishbone chair seats is hand-woven. 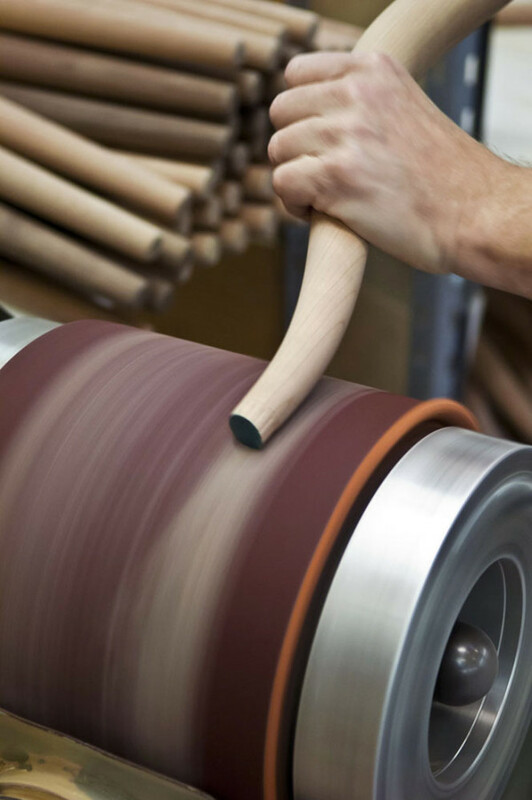 This close-up image shows the weaver maneuvering the paper cord, which is incredibly strong and has a life cycle of approximately 50 years. 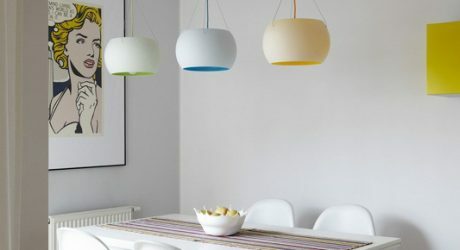 The paper cord that makes up the seating is available in white, natural or black. 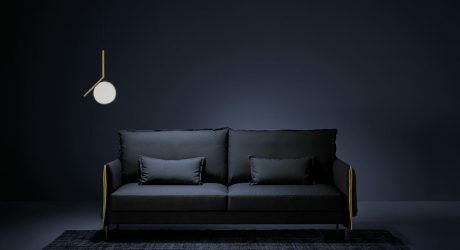 Here is an example of a model with black paper cord. 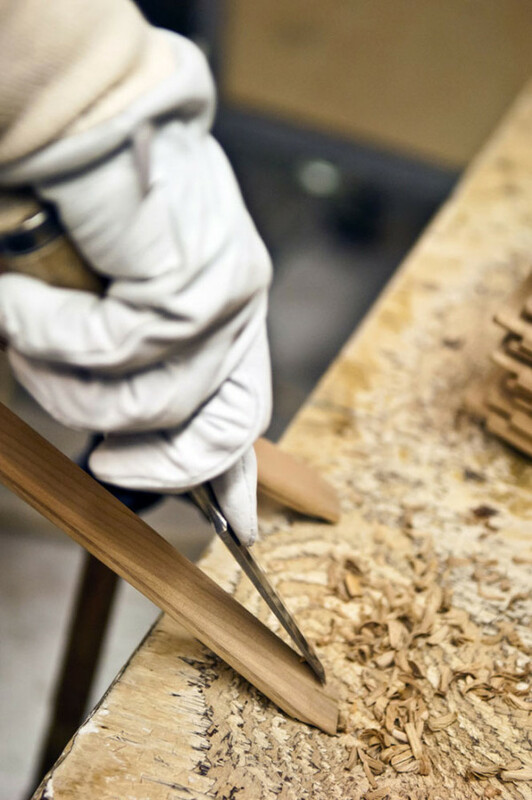 In all, nearly 400 feet of paper cord are used in each Wishbone construction. 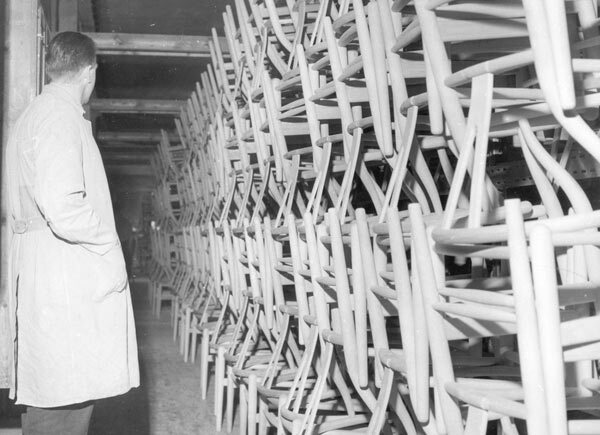 This old photo shows hundreds of completed Wishbone Chairs in a warehouse ready to be shipped around the world. 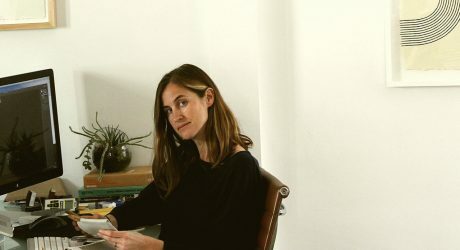 A more modern image tells a similar tale. 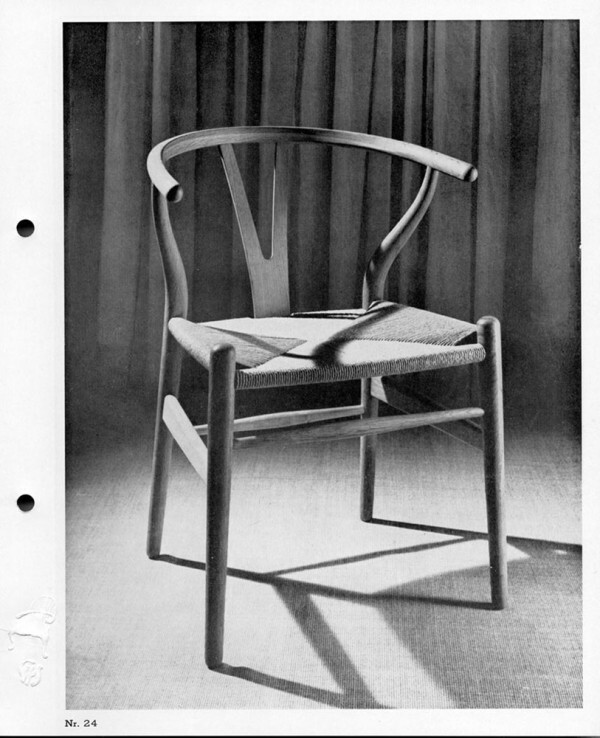 This photo, one of the earliest images of the Wishbone, taken from a catalogue, shows the timeless design which hasn’t changed in over 60 years. 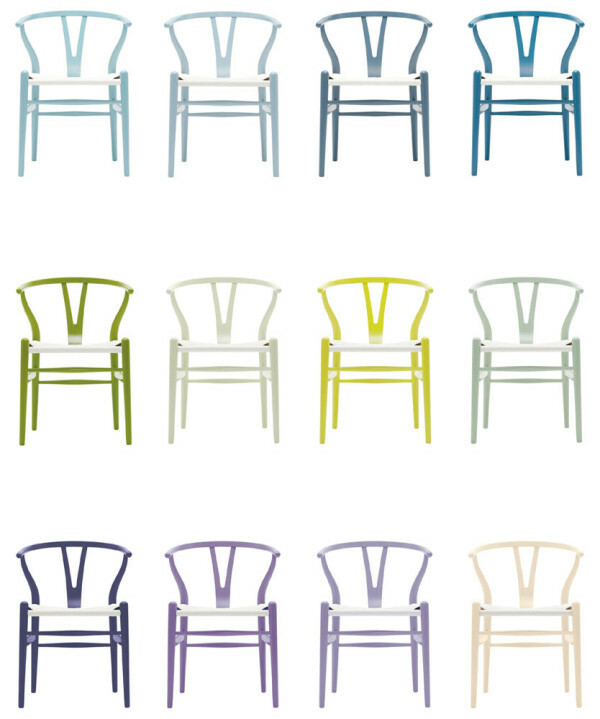 Today, the Wishbone Chair is available in a vast assortment of colors – there are more than 150 unique combinations available in total. 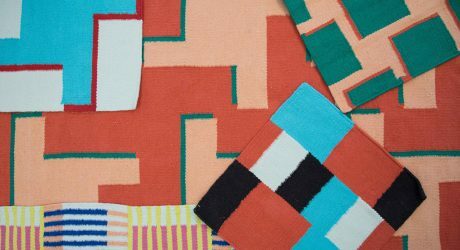 Renata Rubim Design & Cores developed a modular rug collection made up of bold patterns and vivid colors. 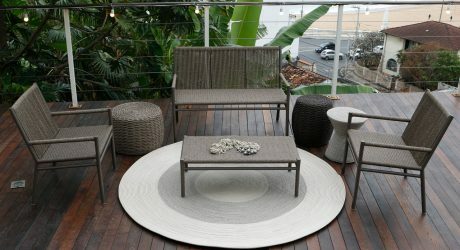 Design your own nautical rope outdoor rug with the help of an online simulator that gives you endless options.